Fiberglass base ready for printing. 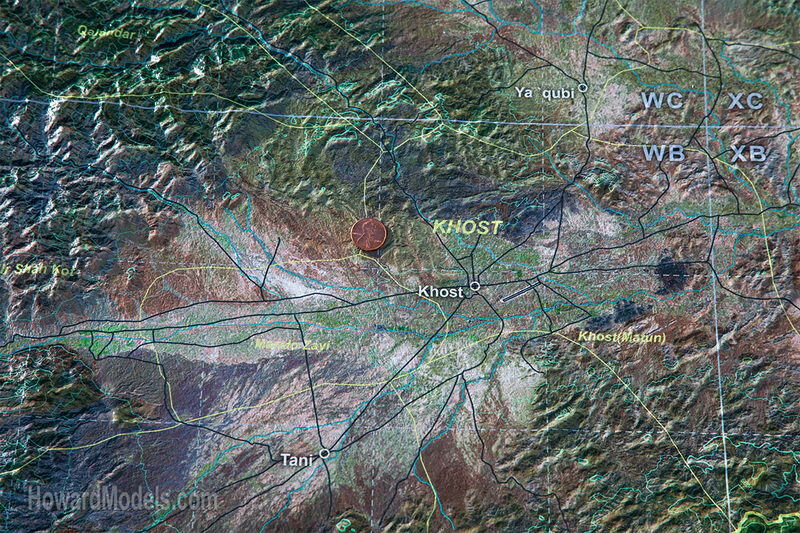 This relief map is of the federally administered tribal areas in Afghanistan. 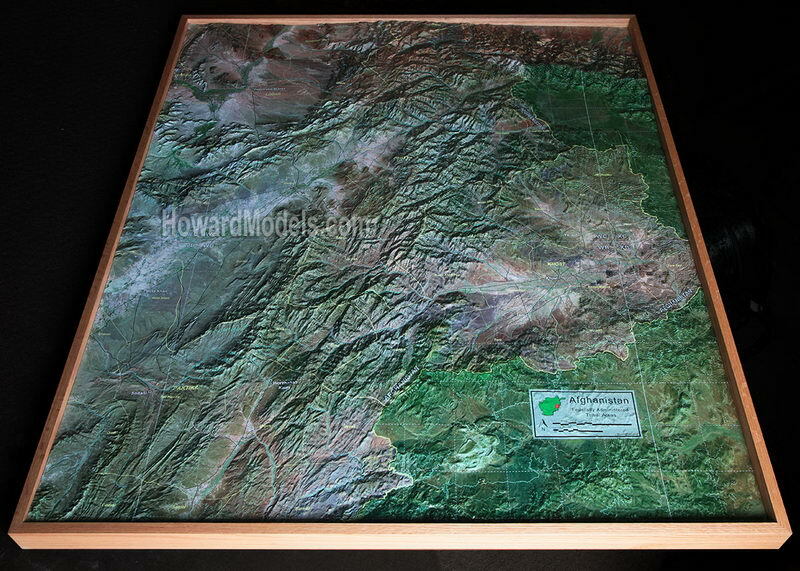 This 42"x56" printed military relief map is made from fiberglass with a printed surface. While the fiberglass is quite durable, since it is a cast shell, it is actually lighter than it's milled foam counterpart. 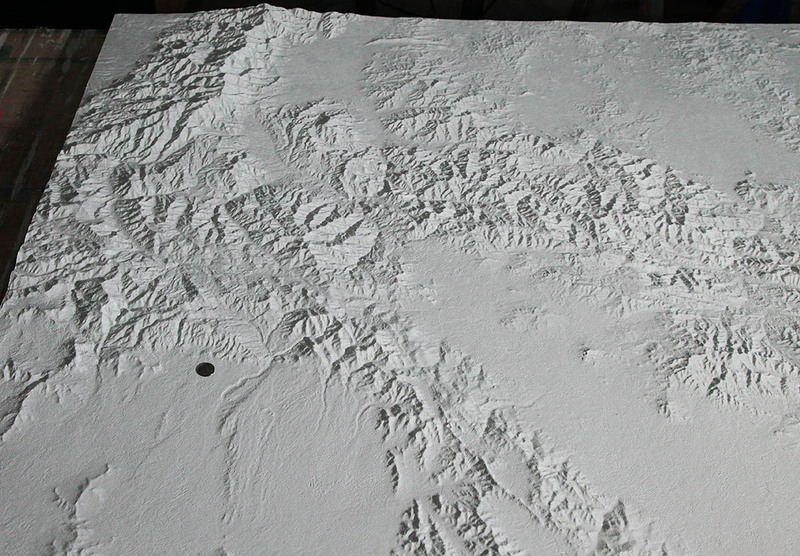 Most of our Custom Raised Relief Maps are ready to ship in 2-3 weeks.